With more and more people telecommuting, a home office is no longer a place to just pay the bills. Now it’s a necessary extension of your work space, and one that you can style any way you want. 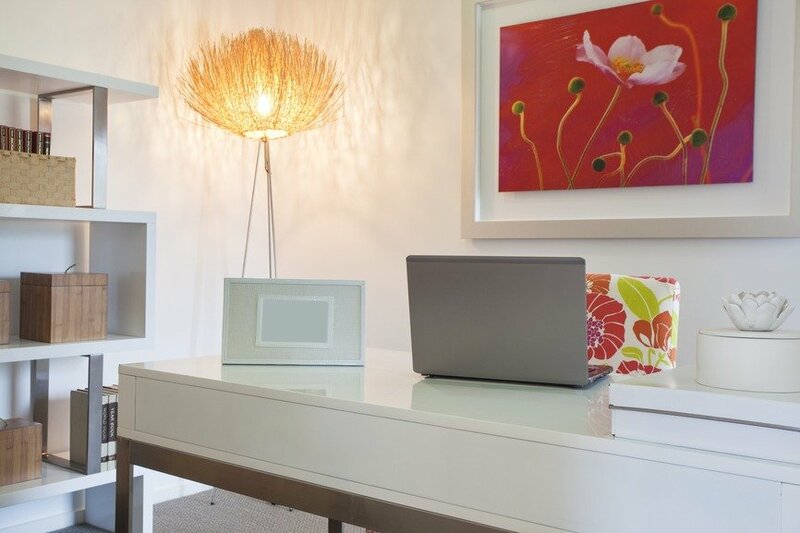 Whether you only have a niche in your apartment to call your own or a roomy turret in a Victorian home, check out these ideas to design a home office just for you. If you only have a corner in which to shove a desk, make the best of the wall space above it by adding built-in bookshelves, and the best of the empty space below by putting a set of file drawers at your fingertips. If the nook can be partitioned off, consider lush curtains or even installing pocket doors. Get the most out of an empty corner or a niche beside a protruding fireplace by customizing the woodwork. Consider a desk that opens up from a cabinet, or a built-in chair that has storage space beneath the cushion. Who wouldn’t want an office with a window? If you can arrange that, do, because natural light helps keep you alert and happy. If your space is gloomy, like a basement or attic area, warm it up with bright, cheery recessed lights, plush carpets, and a fresh coat of paint. Your home office should serve your needs, whatever they are. If you spend most of your day creating gift baskets for corporate events, you’ll need draws for small items like ribbons, and baskets for large ones, like cellophane wrap in multiple colors. Don’t settle for a generic office. Customize your shelving, drawers, and bins to serve your business’s unique needs. Who says you have to order a wooden desk? Consider a metal or glass desk, a granite counter top, or a laminate drafting table. Would you prefer a standing desk, or one that can be converted depending on how your back feels that day? You’re not in a cubicle anymore. You don’t have to limit your personal items to photographs tacked up on the walls. Choose artwork, paint, curtains, rugs, colors, and contrasts that satisfy you. An office doesn’t have to be square, dull, and functional. Add your own personal style to it, whether it be Rococo, Art Deco, farmhouse, or mid-century modern. Base your design around pieces that give you joy. Are you thinking of converting a niche in your house into an office space? Talk to us about how to design the perfect office for you.